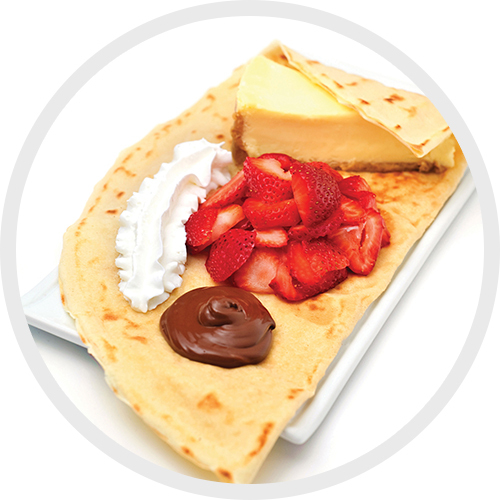 A real slice of NY Cheesecake tucked inside a crepe, topped with freshly sliced strawberries. All covered with dulce de leche, Nutella, and fluffy whipped cream. This is heaven for your mouth!